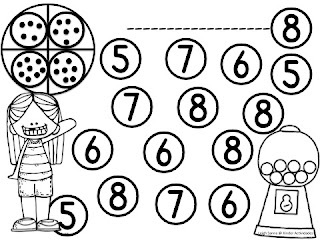 FREE and fun number identification game for your little ones. Children make their own spinner using their pencil tip and a paperclip. 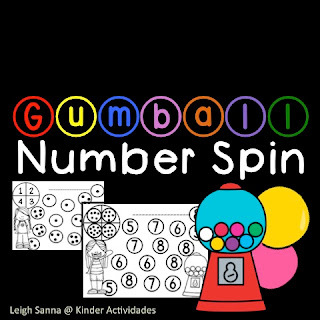 They spin the paperclip until it lands on a number...then they find a matching numeral or representation and color it. They continue until the entire board is complete. 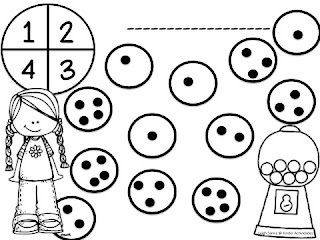 While they work, give them a mini gumball to chew...or use the gumball as a reward for finishing their work!